When preparing for a job interview, there is always a whole lot to remember. 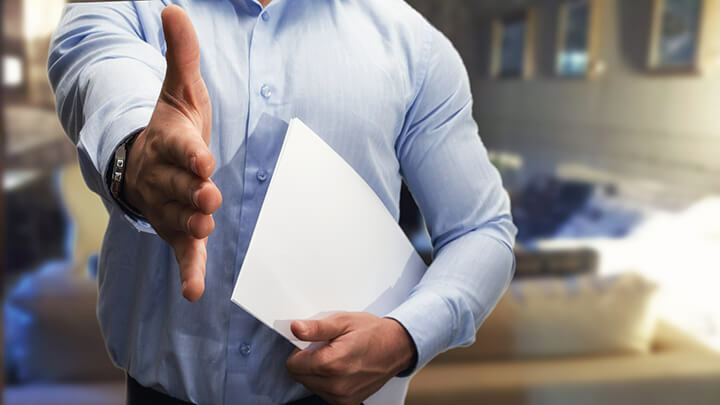 First and foremost, there’s making sure you do enough research about the company and position so that you know what will be expected of you, and what kinds of skills you’ll be asked to demonstrate. Then, there’s making sure you practice your answers to standard interview questions so you don’t stumble. On top of that, there’s interview attire. 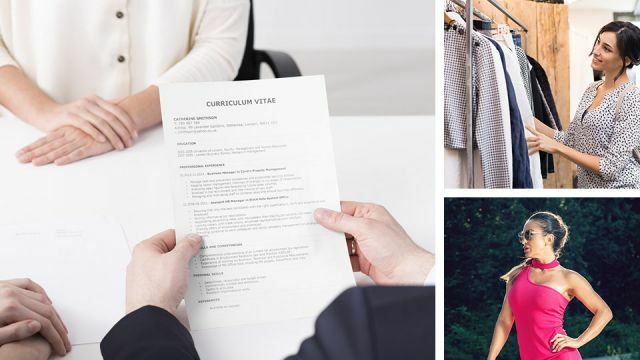 Did you know that the way that you dress for an interview — whether it’s in person or over Skype — may significantly affect your chances of getting a job offer? There’s no hard, fast rule on exactly what you should wear, and it does differ depending on industry and profession, but as a general rule, you should look tidy, polished and professional. 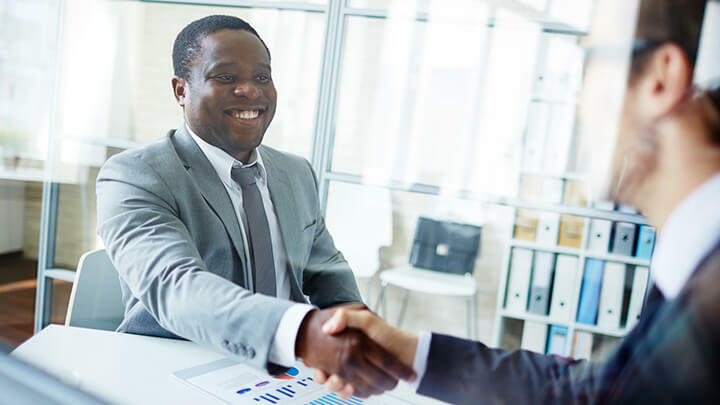 Along with maintaining a clean-cut professional appearance, the colors that you choose to wear can have an impact on how your interviewer perceives you. This has to do with color psychology: the study of the impact that colors have on our moods, emotions and mental states. Drawing from color psychology, here is a guide of the best colors to wear to a job interview, some colors to use as accents and some to avoid completely. Grey can help the interviewer to focus on you, not your wardrobe. Grey is another great neutral color that’s perfect for job interviews. However, you’ll have to make sure that you project confidence, as gray can make someone seem drab or “removed from the group” if you don’t. If you wear it with your natural confidence shining, it can work well. Black is a strong color that can communicate leadership and strength. It’s a great choice for a base color, but perhaps don’t wear all black, as that could be seen as intimidating. If you’re going with black, make most of your outfit black, but consider adding some accent colors (see below). Brown is a warm, earthy, friendly color, and it can signify reliability and agreeableness. However, it can also look overwhelmingly drab if you wear too much of it. If you wear brown, make sure it’s a rich, inviting tone of brown, and consider maybe only making one piece of clothing brown, instead of your entire outfit. Try the following accent colors to highlight the dark, conservative colors listed above. Blue can help you to appear serious and focused. Blue is many people’s favorite color, and it can be calming or energizing depending on the shade. Wearing blue to an interview, or using blue as an accent, is a safe bet. If you want to be exciting, go for a brighter blue accent. If you want to appear serious and focused, perhaps a lighter, sky-blue shade. Green is associated with creativity, and it’s also a natural, earthy color. I wouldn’t recommend making your entire outfit green, unless you want to appear zany, but a green accent here or there might be very effective. White as an accent color can help you appear polished. White can make a good accent color, or even a good base color for your interview outfit. It can make you look pristine and organized. However, it may also be construed as boring, so you may not want to wear all white. Some bright accents can make an interview outfit look great, but whatever you do, avoid neon colors. These aren’t just bright, they can be hard on the eyes — and that’s definitely not what you’re going for. If you’re wearing bright colors (or using brightly colored accents), proceed with caution. One or two little bright accents can be effective, but if you wear too many bright colors, it may be off-putting. While bright colors are linked to creativity, they may be “too much” for an interview setting. Best to keep it minimal. As a general rule, you’ll probably want to stick to solidly-colored items. If you have one item with a pattern, it may work, if it looks good with your outfit as a whole. However, if you start getting into multiple patterns, you may have a problem. Picture someone wearing a striped skirt and a polka dot shirt. It hurts to look at, right? Don’t be that person. So, those are the basics. As a recap, you’ll probably be better off wearing a dark, conservative base color, dressing it up with a few interesting accents, and leaving the neon blouse and patterned tights at home. Of course, make sure everything you wear is clean, wrinkle-free and fits well. Do you have any other tips for dressing for a job interview? Please share what’s worked for you! Next articleWe’ve All Heard About Red Wine, But What About White Wine? Hey Buddy!, I found this information for you: "Wear These Colors For Your Next Job Interview (And Avoid These)". Here is the website link: https://www.thealternativedaily.com/wear-these-colors-for-your-next-job-interview. Thank you.